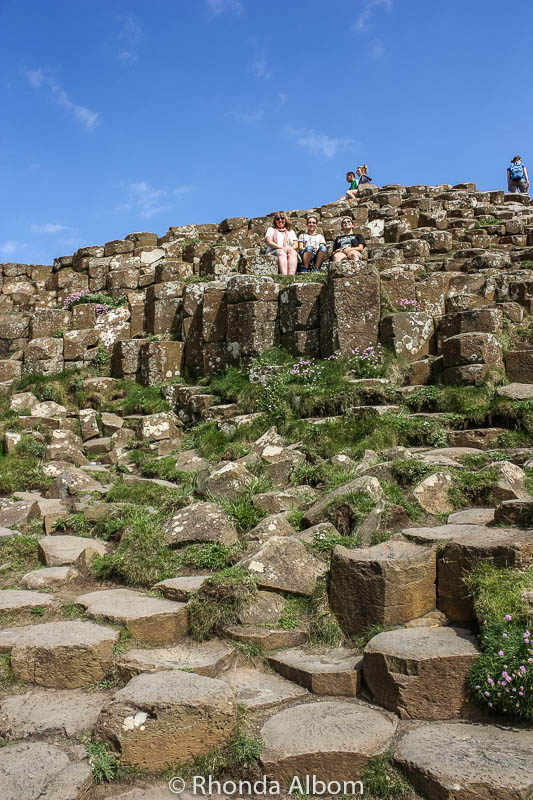 Driving the Giant’s Causeway coastal route of Northern Ireland, we found ourselves instantly entangled in the mystery of the region. 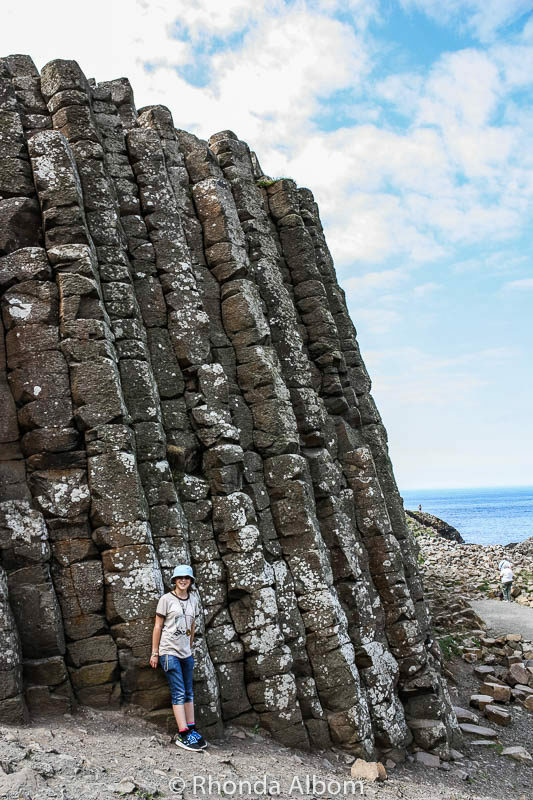 Volcanic activity created the Giant’s Causeway 60 million years ago. Standing at its base, I could begin to appreciate its magnitude. Across the Inner Seas sits its mirror, Fingal’s Cave on Scotland’s Isle of Staffa. The matching formations gave way to the legend of a giant’s bridge once connecting the two. 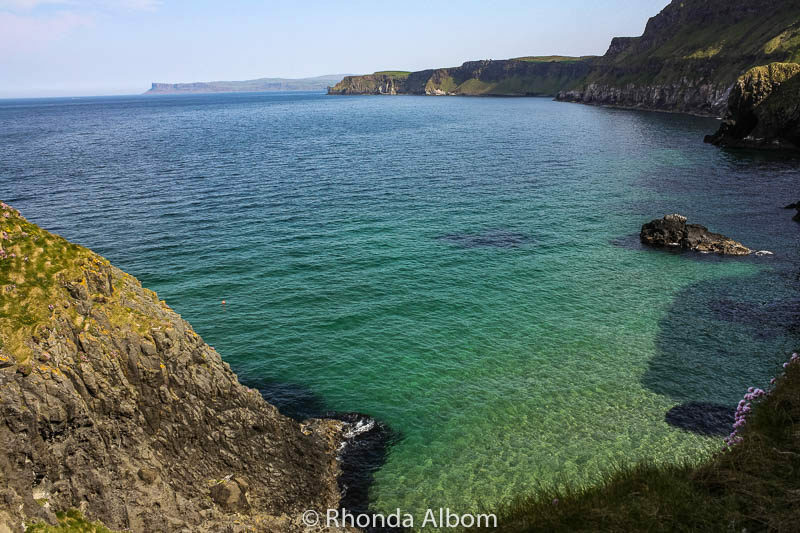 As the name Causeway Coast implies, the route runs along the Northern Ireland coast from Belfast to Londonderry. We drove the segment from Lorne, where we entered Northern Ireland via ferry, to Coleraine. Our highlights were the Giant’s Causeway, Carrick-a-Rede rope bridge, and the ruins of Dunluce Castle. Staring at the giant columns, I couldn’t help but wonder if the Giant’s Causeway legend was true. Could it be the remains of a destroyed bridge built by the giant Finn MacCool to walk to Scotland? My favourite version of the fable is told by my daughter Sarah at A Waking of Worlds. Look closely. You can see our girls standing on the top of the columns. The rock formations were oddly hexagonal. Are they the former base of a giant’s bridge from Northern Ireland to Scotland? Along the path on the way to the Giant’s Causeway. A shot from down below. About 16 km (10 miles) to the east hangs Carrick-A-Rede rope bridge, commonly referred to as the Giant’s Causeway rope bridge. It is so narrow you can’t help but look down into the swirling waters 30 metres below, as you wonder if you will make it across to the other side. 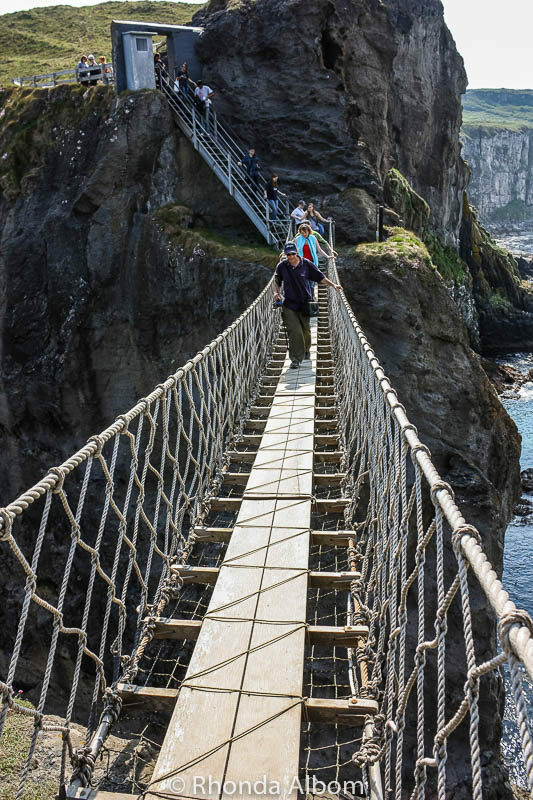 While not nearly as long as the Capilano Suspension bridge we crossed in Vancouver Canada, Carrick-A-Rede bridge has an only 18-inch wide walkway surrounded by, well, nothing. Aware of the open space, one can’t help but look down, all the while remembering that to date, no one has fallen off this bridge. I can’t speak for the original bridge built by salmon fishermen in 1755. Our first view of Carrick A Rede rope bridge in the distance. Can you see it? I looked down. That was my mistake. Another view of this Northern Ireland bridge. The ruins of the medieval Dunluce Castle stand towards the western end of the Giant’s Causeway Coastal route. Fans will recognise it as the House of Greyjoy in Game of Thrones. Filled with historical intrigue, the site once held an Irish Fort and has been the battlegrounds of early Christians and Vikings. For me, the lush hills reflecting green into the turquoise waters held my attention. Both from the road and the long walks to each site, the journey was a part of the adventure that I will never forget. The route featured on this page is one of our three favourite coastal drives to date. The other two are the Great Ocean Road in Australia and the Oregon Coast in the United States. We hired a car in London and drove through England and Scotland before a ferry crossing to Northern Ireland. In retrospect, we should have returned the car in Glasgow and flew to Belfast and rented a second vehicle. It would have saved us both time and money. Either way, we use Rentalcars.com. We have had great success every time with them. As an aggregator, the provide us with options of different vehicles from various local companies. We usually pay less going through Rental Cars than had we purchased on our own. Traffic drives on the left in Northern Ireland. If you drive yourself it will probably take longer than you anticipated, as you will want to stop often to enjoy the endless scenery. Giant’s Causeway: The on-site parking is not free and requires a Giant’s Causeway Visitor’s Center entrance ticket. We opted to leave our car and take a bus from Coleraine. Carrick-A-Rede rope bridge: Beginning in April 2017, timed tickets are required to cross this Irish rope bridge, each with a one-hour time span. The bridge was closed for a period of time after suffering from vandalism in May 2017 but has reopened to visitors. 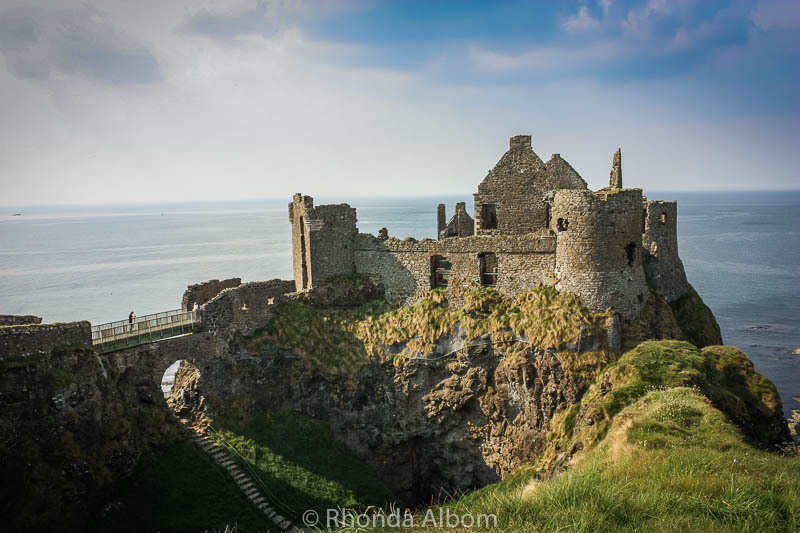 Dunluce Castle is open daily from 10 am to 5 pm. There is a fee for entry. 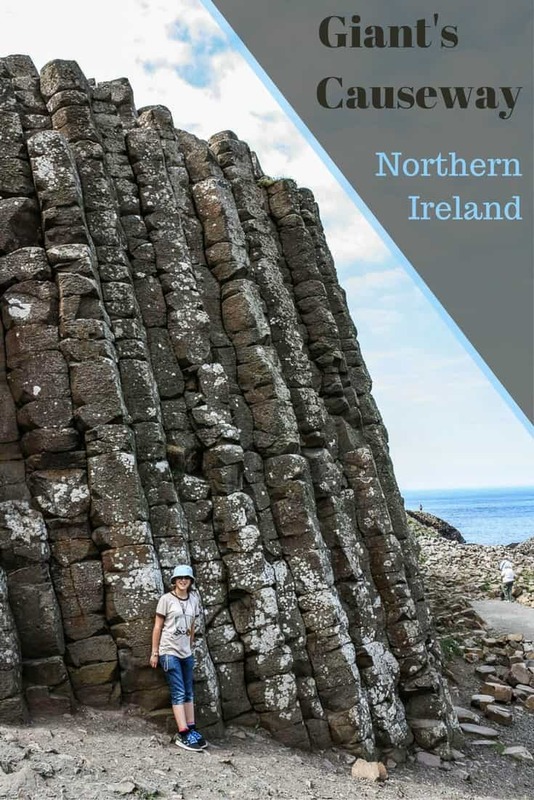 Get Your Guide offers a variety of interesting tours from Belfast to Giant’s Causeway. While some focus on the natural scenery, others are based on adventure, or on the Game of Thrones sights. We found Premier Inns to be clean, comfortable and affordable. They are the ideal place to stay if travelling through the UK on a budget. The Premier Inn in Coleraine is perfectly situated to visit Giant’s Causeway, Carrick-a-Rede Bridge, Dunluce Castle, and even Bushmills Distillery. We always check prices at Booking.com. 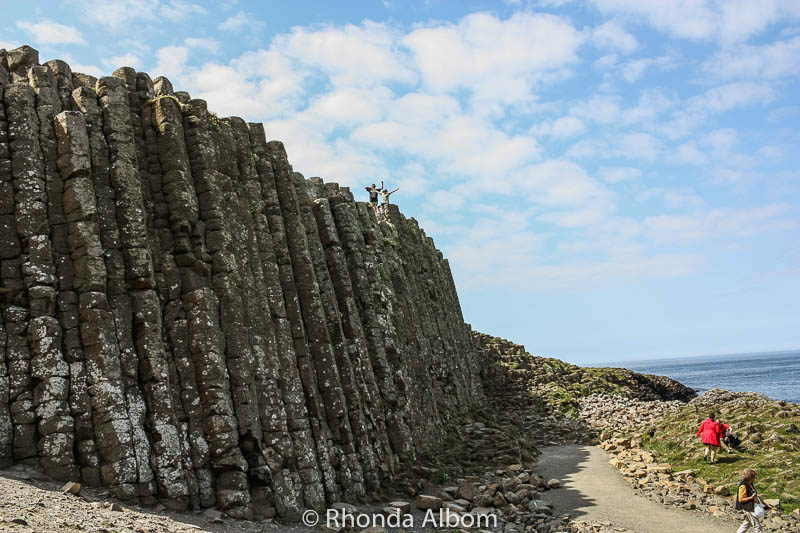 Have you driven the Giant’s Causeway coastal route? 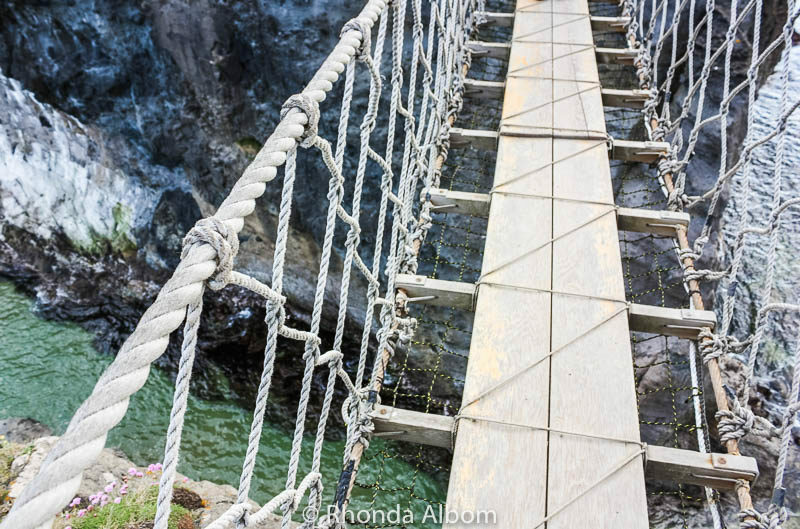 Would you cross the Carrick-A-Rede rope bridge? 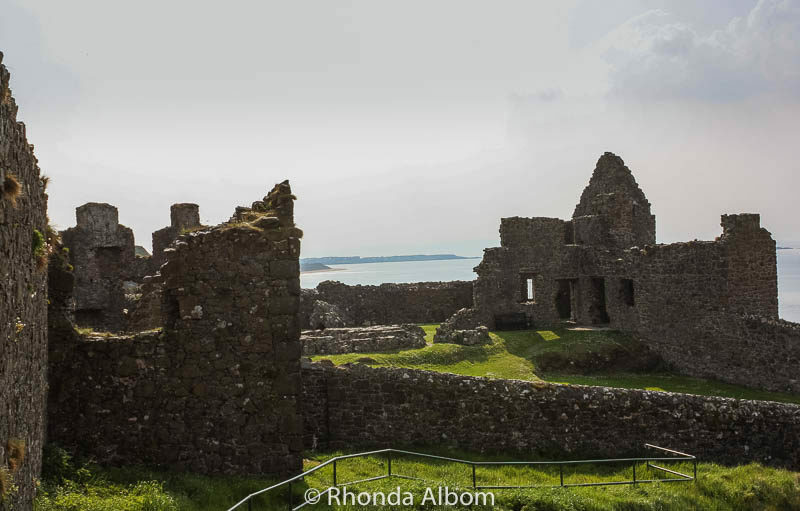 Do you love old castle ruins? Are you a Game of Thrones fan? Wow! It sounds like it is much busier than when I was last there – tickets to cross the bridge!! Still an amazing place. Nice to see it again! Too bad for me that I didn’t go before you had to pay to cross. Love the view, the rock formations are awesome. Stunning scenery. The rocks are so interesting because not only are they tall, they are hexagonal. I agree. What is the matter with people? Thankfully it was noticed before someone go hurt. Thinking about the Finn McCool Legend while we stand there makes it so much more a mystery. Oh wow. Lovin the castle ruins. Me too. We stopped at many different castle ruins as we travelled through Uk and Ireland. The Giants Causeway was one of the highlights of my time in Europe, as was the whole coastal route. I had no idea that tourism had exploded recently because of GoT, honestly I don’t watch it lol! But I did know that they did a lot of filming in Northern Ireland, so with such a cult following I can understand how tourism must have boomed! It was one of our highlights too, definitely worth the drive up north. I also love the legend, it would be a great children’s book. 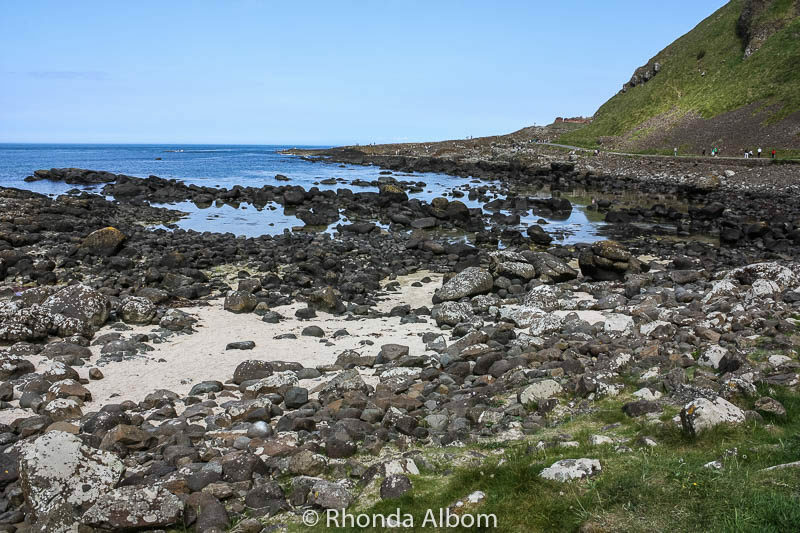 The Giants Causeway coastal route looks really mesmerizing. The rocky landscape seem beautiful and at the same time seem to haceve an aura of mystery, probably because they date back millions of years ago. 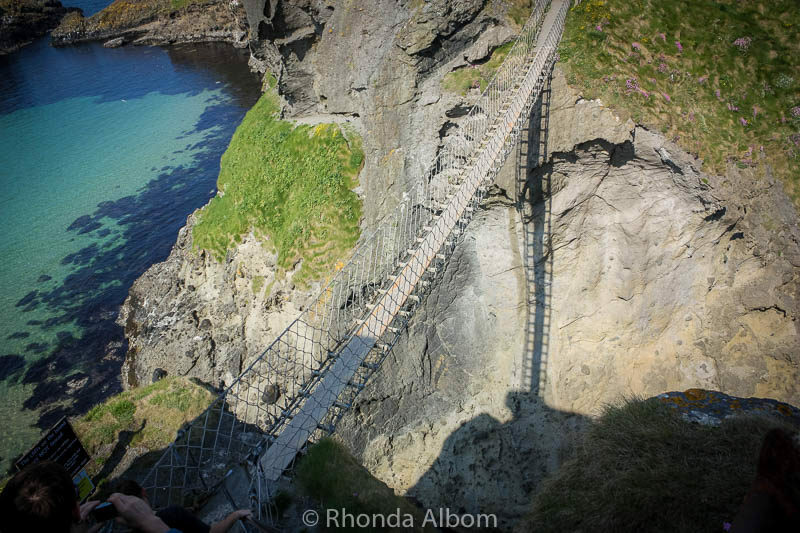 The rope bridge looks like a great walk above some breathtaking views. I was reminded of a rope bridge that I walked above the rain forests of East Africa a couple of mothe back, the only difference was that it did not have the wooden support I can see at the base of this bridge, that one was only made of rope. OMG – I am not sure I would have done so well on a bridge just made of rope. I haven’t seen the Game of Thrones either, but the legend of Finn MacCool, that just might be true. Northern Ireland looks incredible. I’ll be going to the Republic of Ireland for the first time later this year and I suspect the landscape will be someone similar, very rugged and raw and green. The water along the coast looks spectacular. Yes, both countries are filled with stunning landscapes. Tours are great when you have limited time, but when we can, we travel on our own. Can’t wait to get back to Ireland. I worked in Dublin for a while three years ago and am kicking myself that I didn’t get out into the country to see more things like the giant’s causeway and the stunning scenery on that coast. So beautiful! Dublin is such a fun city. That’s what I thought, but I actually wasn’t scared . . . until I looked down. The hexagon shapes were pretty fascinating. Perfect timing! 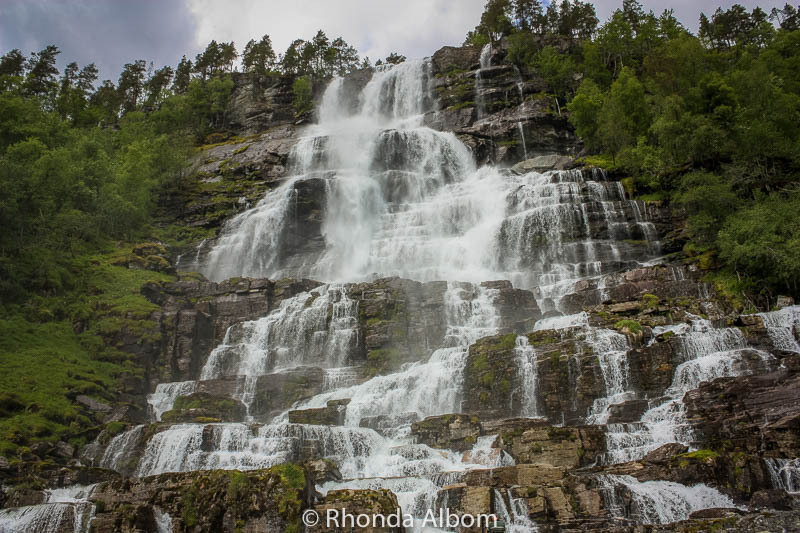 I’ll be heading to NIre soon and this post is really helpful. It would be my first time visiting the NIre, I’m really looking forward to it. Thank you for sharing this post! 🙂 PS. Lovely photos!! The landscape in Northern Ireland is just stunning. The rolling hills and rocky coast look amazing. I never made it up there when I was living in London, but I certainly want to make it at some point. I’m a huge GOT fan, so that is always a draw as well. Also had no idea that the Giants Causeway Coastal Route was so popular. More visitors than the Titanic in Belfast? That’s impressive. I was surprised by that statistic as well. We’ve been to the Giant’s Causeway a long time ago and it was good to see your photos to bring it back again. It’s an amazing thing. I’m off to look at the Oregon Drive now! Ah, two stunning sites. I hope you enjoy them both. The Carrack-a-Rede bridge would scare me witless … and hope all the way that I wouldn’t be the lucky first person to fall off it 😀 I’ve often wished I DIDN’T have a fear of heights, most recently experienced at Tintagel in Cornwall, but I’d do it anyway – the fear adds a little frisson of excitement that makes an experience like this memorable! LOL – I doubt you would be the first to fall. The thought of falling never entered my mind. The bridge is secure. I have been dying to visit the Giant’s Causeway for years! Looks so fascinating! Although, I don’t know if I would handle that bridge! I’m not a fan of moving bridged! It is most definitely a moving bridge. Oooh, how I’d love to visit Northern Ireland. It looks really amazing 🙂 Thank you for hosting the linkup! Northern Ireland, and the Republic of Ireland, both remind me quite a bit of New Zealand. Thanks. I am a photographer first, chicken second. I had to take the shot. I agree, but it’s difficult to convince scientist hubby of such truths. It is so beautiful. You will love it there. I never saw the Game of Thrones either. In fact, I hadn’t even heard of it when we visited. I am a big fan of coastal drives. 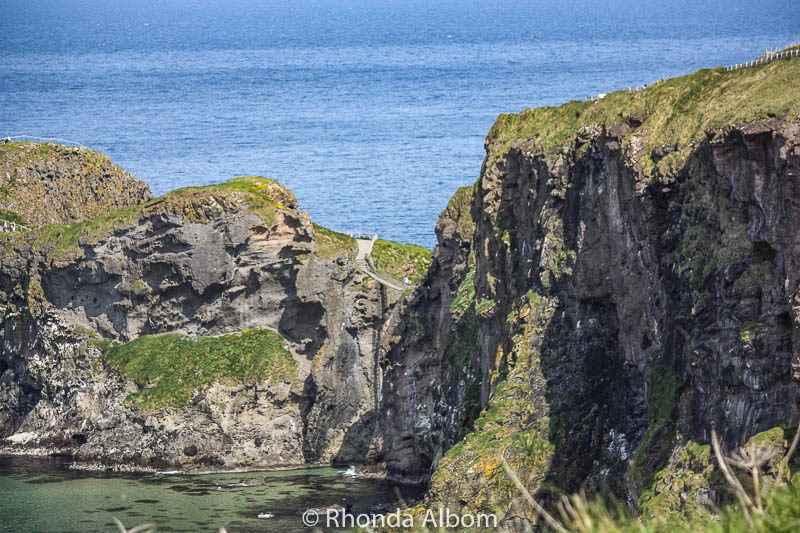 If you enjoy hiking the coastal path between Giants Causeway and Carrick-a-Rede rope bridge is spectacular! We missed that. Maybe next time. I’ve been here pretty recently. The causeway is just stunning. I didn’t walk the rope bridge because it was too late at night, but I loved seeing all the Game of throne sights. Did you visit Dark Hedges too? We stayed for a couple of nights, so we had several opportunities, only taking up one though. That’s enough. This is definitely the part of Northern Island I’m most excited about seeing. The Giants Causeway has been on my bucketlist for a while now and Dunluce Castle also looks pretty interesting and scenic. Can’t wait! It’s the only part of Northern Ireland that we saw, other than Bushmill Distillery. I hope you get too, it’s very unique. I was made aware of this thanks to Pinterest 🙂 This looks so cool! I am going someday!! Cool. Glad to know that Pinterest is working. I really love when unusual land formations give rise to fascinating local legends about the origin, so intriguing to view the site and learn the stories at the same time. 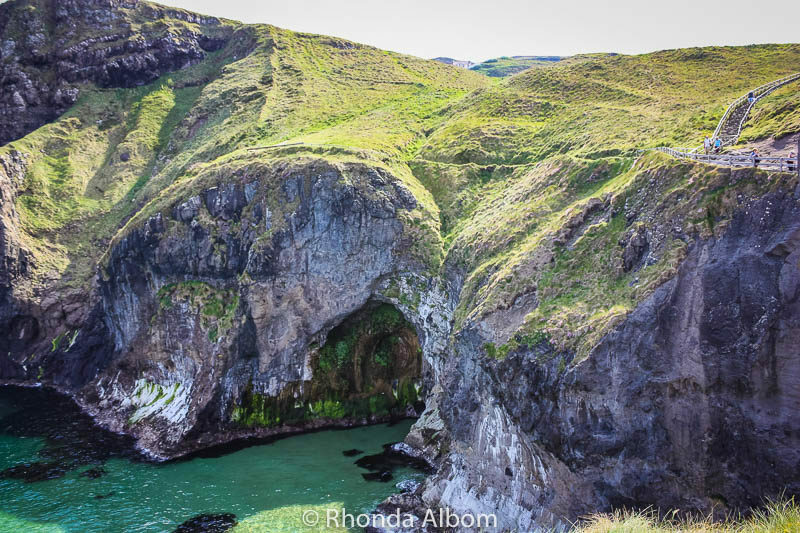 Your photos really bring the landscape and coastal views to life, particularly that scary rope bridge and the drop beneath it! It’s a really amazing place. David and I are tossing up right now whether to go to Ireland or Newfoundland in mid 2019. I know, the two places have almost nothing in common. I am attracted to the idea that Newfoundland has no connection whatsoever to Game of Thrones. I am a fan of the show but it seems to be having a huge effect on where people travel and both David and I have something of a contrarian streak. Anyway, your photos are stunning as usual and every bit of information helps with our decision. If it were me, I would go to Newfoundland, as I love Canada, and haven’t been there before. I am not sure that is a helpful answer. What a spectacular area with rugged rock formations, steep cliffs, and old castles perched on top of coastal cliffs. We have only driven Southern Ireland and would love to see the rest of it one day. Did you know there is a Giant’s Causeway at Fingal Head just over the Qld border in NSW? I’d say it was named after the one in Ireland. I didn’t know there was a Fingal Head in Queensland, although I have crossed the state line a few times in the Gold Coast. It’s the only way to cross there and back, and this one is way scarier than Capilano. Beautiful pictures!! the giants causeway is very high in our bucket list 🙂 I don’t know if would be able to cross the Carrick-a-Rede Rope Bridge. Of course you can, however, you would need a careful eye on the boys. Beautiful photos! This route and area have been near the top on my travel wish list for awhile. Even more so now as a Game of Thrones fan. The landscape looks incredible. I would totally cross that bridge since we survived crossing Capilano Bridge. It is very different that Capilano. In Canada, it was the length and the sheer number of people on the bridge, moving it as they cross. In Ireland, it is short but narrow. Looking down, you can see the water. But, there are never more than eight people on the bridge at any one time. I don’t watch Game of Thrones but I still want to go here! It’s been on my list for awhile now. Great photos! LOL – I have never seen the Game of Thrones either. What an awesome place to explore! I WANT to walk across that bridge! I hope you get there someday. es sind ganz herrliche Bilder, die Du uns da von Irland zeigst. Es muss ein unglaublich interessantes Land sein. Wow, these are some great photos – this looks like a fantastic place! OH MY GOD, those are indeed spectacular incredible natural architectures! I also wonder if the previous “giants”who first peopled the earth (i read all Seccharia Sitchin’s books) built those structures. They include the Stonehenge and the likes that are plenty in those parts of the world, the runways in South America, etc. Anyway, whatever, i cannot cross that hanging bridge or maybe if there is a blindfold. Thanks for the tour! No way I would do it with a blindfold. I would want to see my footing to be sure I don’t miss those narrow walkways. LOVE the castle! I have always wanted to go to the Giants Causeway. I’ve been to the Republic of Ireland but not Northern Ireland. Will go if I ever get back over the sea! 🙂 Don’t watch Game of Thrones. I like the real histry so much, and your photos and information were wonderful! I don’t watch the Game of Thrones either, but my daughter does. We were there before the show started. Wow! That’s a gorgeous post. Don’t think I’d make it across that rope bridge tho. And if you do get across, you have to come back. It’s a small island on the other side. Oh my God! This place is amazing especially the Carrick-A-Rede rope bridge. I don’t know if I would be able to walk this bridge especially without looking down. Who took the photo of you sitting down on the column? It was pretty good. I think someone is trying yo take your job away from you. Ha,ha,ha. No one could be better then you Rhonda. Have a great day my friend. See ya. No, never been. Yes, think the ruins would be awesome to explore. Definite nope…knees would be way too weak for doing the bridge. haha Did a very small one once and just wanted to lay down and stay there because could hardly keep moving. I so enjoyed your sharing. If anywhere if I were traveling, Ireland would definitely be a place I’d love to visit. Today, I visited it through your wonderful photos. Thanks. Thanks Peabea. I am glad to take you on a virtual tour when we travel. If you can’t make it back, there are boats. I love coastal drives, the water and the cliffs are so beautiful. Love this! 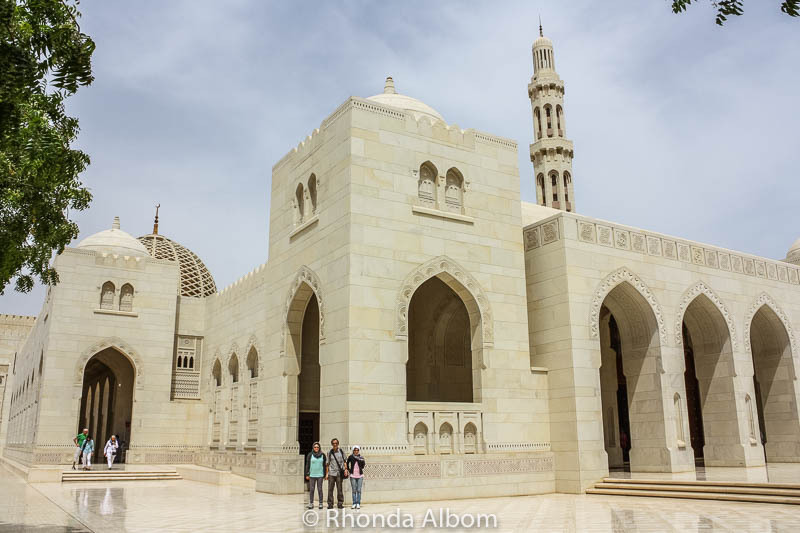 I had not seen such s detailed post before and it made me feel like I was there, such a fascinating culture, can’t wait to visit I one day! Glad to take you with me. Wow, the landscapes in Scotland look magical. That bridge looks so scary. I was in Scotland, when I was about 13 years old. Perhaps, it is time to return! It’s Northern Ireland. I do love Scotland too. That looks like a magical place – like something our of legends. How exciting that you got to go there. It’s my hope to travel and visit places like this someday! It’s all about the legend of Finn MacCool and the bridge he built to Scotland. Walking across the bridge wasn’t nearly as bad as I thought it would be. Very beautiful and what a great walk. I would truly love to do that. Northern Ireland is quite beautiful, and these sites are pretty amazing. Love the looks of those rocks. They are so massive. It is difficult to capture in a photo. I’ve visited all these places and crossed the Carrick a Rede bridge three times! I loved this area of Ireland and the city of Belfast. I see you also got a good photo of the mermaid caves along the coast—so mysterious! I didn’t know they were called mermaid caves. I am going to add a caption. Thanks. It would be so amazing to see that in person. I hope you get too. It’s the type of destination you could base one of your novels in. Now these are nice photos Rhonda this made me laugh “I looked down. That was my mistake.” haha! LOL – you would have been laughing even more if you were there. Now here’s a country I would love to visit. I would be all over the place too. Great shots. Yes, Northern Ireland and Ireland were lush and green, reminding me a bit of New Zealand, another country you should visit some day. I love the shape of those rocks! WOW!!! Crossing that bridge makes me nervous! LOL – crossing that bridge makes everyone nervous. Some people make it to the island, but fear grips them and they can’t get back, so they have to take a boat. Looks wonderful. I couldn’t have done the bridge years ago but would love to now. Don’t think Debbie would though. It wasn’t really too bad. Mitchell, Bev, my mom, and I went to Ireland years ago. It was a wonderful trip! Wow! What a breathtaking view! Sad to say, I can’t go with that hanging bridge, I have fear of heights. I might faint when I do that. I seem to be getting over a lot of fears on this trip. I wasn’t even going to get a ticket to cross, but the family ticket made my incremental cost tiny, so I figured I could decide after the mile hike to get there. My camera and I would love to spend some time there! Did you get to Ireland at all when you were over this way? Yes we did. Twice to Ireland and once to Northern Ireland. We were invited to spend Christmas with a family in Enniskillen to the west of Belfast one year and had a wonderful time. We also had the opportunity to stay at Adair Manor in County Clare for a weekend through my work. The weekend we were there the manor was also used for some Anglo-Irish talks. There were men in black suits with sunglasses and walkie-talkies everywhere. One night we as a group of about ten walked into to town to the pub and as we were returning we were confronted by security who wanted to ask our life histories before allowing us back onto the property. It was very exciting! Adare Manor is amazing. I am so jealous you got to stay there (although we never even checked it out, as the budget for this trip would never allow something like that place.) Thanks for sharing your story.